A very Good Monday Morning! I’m hellbent on finding a of couple shampoos without SLS, phalates and parabens that I can alternate between without having to come back to the Kerastase shampoo that always delivers, but contains chemicals I try to avoid. So far I’m VERY impressed with california brand Giovanni. 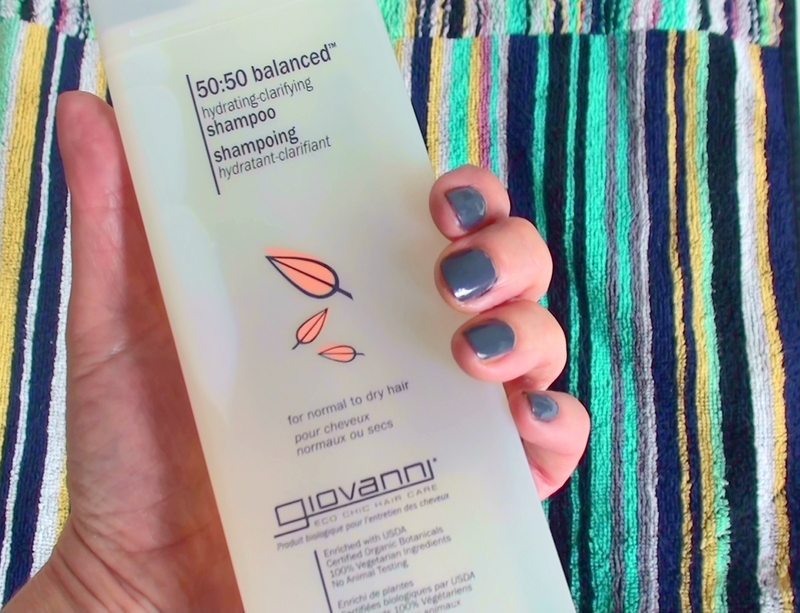 I have used the 50/50 Balanced Hydrating-Clarifying for normal to dry hair for awhile. I don’t have dry hair as such, except my ends which are exceedingly dry at the moment, (haircut is way overdue!!) but this one really works for me. It keeps my hair cleaner for a day longer than most other shampoos (isn’t washing your hair the most tedious thing to do?) and I like the bottle, the eco chic branding and it’s not expensive at £8.00.